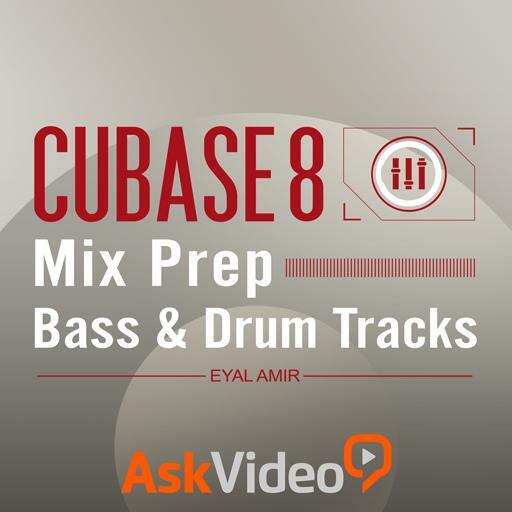 Cubase 8 303 - Mix Prep: Bass & Drum Tracks. What's the key command to toggle "snap" on and off? In the Inspector, which tab will let you detect the transients of your audio event? it’s best to use the bottom snare mic, because it’s capturing almost nothing but the snare drum. it’s best to use the top snare mic, because it has a fuller sound. What's the best way to quantize a drum part with lots of subdivisions (8th, 16th and 32nd notes)? When quantizing audio, it is recommended to try with AudioWarp first. True or false? When detecting transients, what should you do if some drum hits or notes are not detected? When should you use a Gate to clean up an audio track? The shorter the crossfade is, the more we’re gonna hear its action. True or false?